The TOM1/TOM3 genes from Arabidopsis are involved in the replication of tobamoviruses. Tomato homologs of these genes, LeTH1, LeTH2 and LeTH3, are known. In this study, we examined transgenic tomato lines where inverted repeats of either LeTH1, LeTH2 or LeTH3 were introduced by Agrobacterium. Endogenous mRNA expression for each gene was detected in non-transgenic control plants, whereas a very low level of each of the three genes was found in the corresponding line. Small interfering RNA was detected in the transgenic lines. 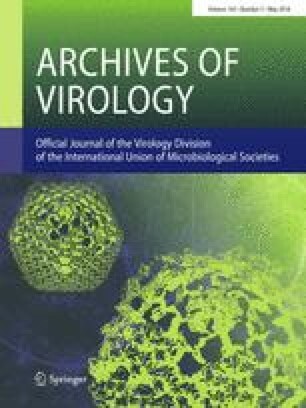 Each silenced line showed similar levels of tobamovirus resistance, indicating that each gene is similarly involved in virus replication. The online version of this article ( https://doi.org/10.1007/s00705-018-3747-4) contains supplementary material, which is available to authorized users. We are grateful to M. Ishikawa for providing plasmids, and to M. Syonaka, Y. Watanabe and A. Mochizuki for Agrobacterium clones and the transgenic tomato seeds. We also thank D. Murphy and A. Stasko for checking the English in the manuscript. This work was supported by the Program for Promotion of Basic and Applied Research in Bio-oriented Industry (BRAIN), the Ministry of Education, Culture, Sports and Technology of Japan [Grant-in-Aid for Scientific Research for Scientific Research (C), No. 24580065] to MN and the Japan Science and Technology Agency for the A-step (Adaptable and Seamless Technology Transfer Program through Target-driven R & D) to MN.